France Creates Petition For Barack Obama To Run For President !!! 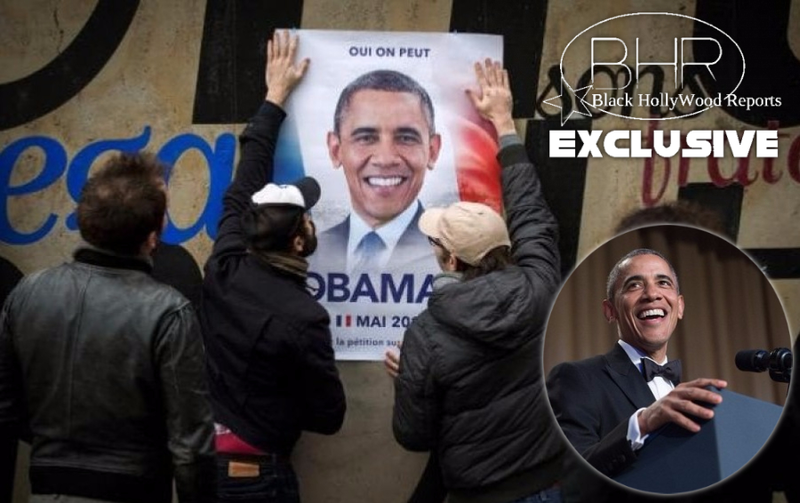 BHR Hollywood Reports.........A group unhappy with the options for president of France is recruiting a familiar face — Barack Obama. 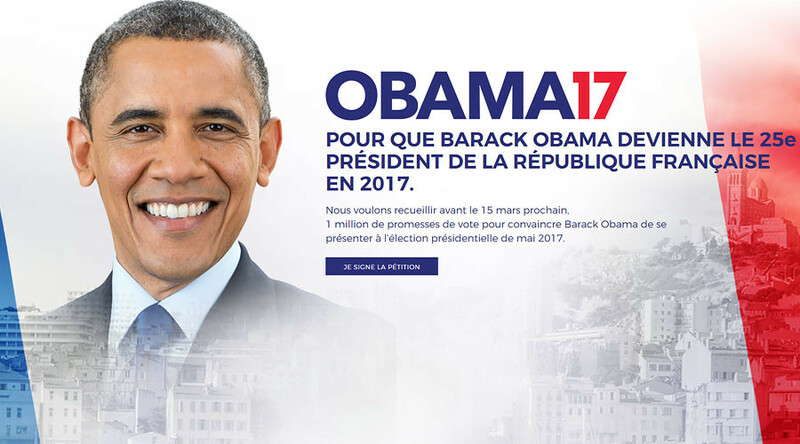 The Obama17 petition aims to gather 1 million signatures to convince the former U.S. commander-in-chief to run in the country's presidential election this spring. The movement's website said it wants to coax France out of its "lethargy." However, Fillon has stumbled on allegations of fake taxpayer-funded jobs for his wife and children - particularly damaging for someone pledging to slash public spending. Le Pen, who came in third in the 2012 race, is facing financial investigations too. And while she hopes to ride a wave of anti-establishment, anti-European Union sentiment to power, numerous critics fear her worldview is racist and dangerous. The New York Times reported that many voters in France are unable to identify many of the 12 candidates. We wish to strike a blow by electing a foreign president at the head of our beautiful country," the website reads. "Barack Obama has completed his second term as president of the United States ... why not hire him as president for France?" The group says Obama has "the best resume in the world for the job," and adds, "it is still possible to vote for a president and not against a candidate." The movement hopes to have all the signatures by March 15. 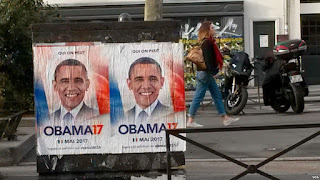 In the meantime, a campaign organizer told CNN the group plastered 500 photos of Obama around Paris. 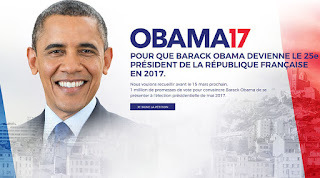 Obama faces one massive hurdle in the race, if he were even interested: He's not a French citizen and therefore couldn't qualify to run.